The House voted Wednesday to direct the federal government to set a minimum size for airline seats, bar passengers from being kicked off overbooked planes, and consider whether to restrict animals on planes. Those and other passenger-related provisions were included in a bill to authorize Federal Aviation Administration programs for five years. The House approved the measure by a 398-23 vote, sending it to the Senate, which faces a Sunday deadline. The FAA bill is also notable for what is not included. Lawmakers abandoned a plan backed by airlines to privatize the nation’s air-traffic-control system. And congressional negotiators dropped a proposal to crack down on “unreasonable” airline fees. 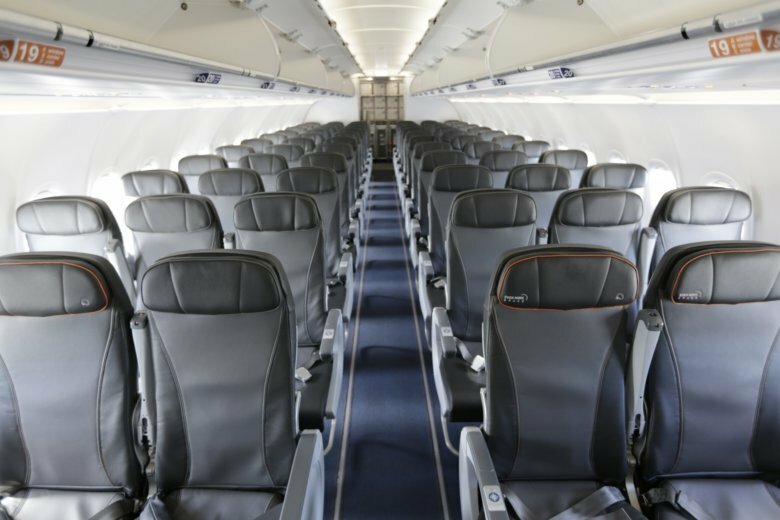 — It gives the FAA one year to set minimum measurements for airline seats and the distance between rows. Provision sponsors said cramped planes are a safety issue during emergencies such as fires. “People are getting larger, the seats are getting smaller, and it’s just obvious that you can’t evacuate the planes in the requisite time,” Rep. Steve Cohen, D-Tenn., said in an interview. — It bars airlines from removing passengers from overbooked flights once the passenger has boarded the plane. The issue gained attention after airport officers dragged a 69-year-old man off a United Express plane last year to make room for an airline employee. Airlines could still bump people before boarding begins. — Directs the Transportation Department to set rules for service and emotional-support animals on planes including “reasonable measures to ensure pets are not claimed as service animals.” Airlines have taken modest steps to crack down on support animals, which they say are surging in numbers and leading to incidents of biting and defecating on planes. — Prohibits putting a live animal in an overhead bin. A French bulldog puppy died in the overhead bin of a United Airlines plane in March. — When a computer outage causes widespread delays and cancellations, the airline must say on its website whether it will help stranded customers with hotel rooms, meals, or seats on another carrier. — Bars passengers from making cell phone calls during airline flights. — Creates a committee to advise the FAA on how to prevent consumers from being hit with huge and unexpected bills from air-ambulance companies. Last year, a Senate committee approved a provision directing the Transportation Department to crack down on “unreasonable” airline fees for things like changing a reservation. But airlines and the industry’s major trade group, Airlines for America, lobbied fiercely against the proposal, which they said amounted to reregulating airline prices for the first time in 40 years. The issue was dropped last week during final negotiations. Before that, Senate Commerce Committee Chairman John Thune, R-S.D., gave up an attempt to weaken a regulation requiring that pilots have at least 1,500 hours of flying time before they can fly for an airline. Safety advocates had objected. House Transportation Committee Chairman Bill Shuster, R-Penn., backed away from a plan to shift control of the nation’s air-traffic-control system from the FAA to a private corporation. Shuster acknowledged that he didn’t have the votes to pass the airline-backed provision. The FAA’s current authority expires Sunday, but Congress could pass a brief extension to give the Senate more time to consider the House-passed bill.